CAMPAIGNERS are calling for immediate action to prevent more youngsters from drowning in a Wigan quarry following Miracle Godson’s tragic death. The 13-year-old of Marsh Green was the second person to lose his life in East Quarry, in Appley Bridge, following the death on 1999 of 17-year-old Craig Croston, of Platt Bridge. 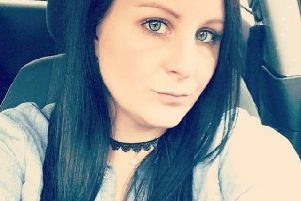 Last year Natalie Prescott, of Standish-Lower-Ground, started a petition to fill the void, privately owned by Mainsprint Ltd, after she broke her leg in a tombstoning accident. But her campaign had fallen on deaf ears until Miracle’s death on Friday and now more than 4,000 people have signed her petition to fill in the quarry. The 26-year-old said: “I set this up last year but people stop signing it. Now, unfortunately after Miracle’s death, more people are interested. “I am gutted that it has taken someone to die for people to get more involved. I wish people had listened to me sooner. In recent years, two other youngsters have drowned in another quarry in the area, Hilldale, in Parbold. In 2010 Cameron McInnes, 21, perished after plunging into freezing water when a rope swing handle snapped and Sam Fowler, 14, tragically drowned in 1999. As a result, Stu Murphy, managing director of Venture Regen Limited, in Skelmersdale, recently designed plans to fill in Hill Top Quarry. He said: “My plans to fill in the quarry are with the Environment Agency as we speak and I would be more than happy to look at East Quarry. “I now know three people who were injured or killed at East Quarry. “My wife knew Miracle and is also a good friend of Natalie’s, I also know a lad, Danny Parker, who was seriously injured after being there, so this is a matter that is very important to us. “I used to go swimming at East Quarry as a lad and it is obviously not safe. Ward councillor Pam Baybutt, who represents Wrightington and Appley Bridge, said: “What happened was very tragic. “The quarry is privately owned and the owner has done everything they can to keep the area safe – it is fenced off completely and there are warning signs, so people should not be able to get in. “Unfortunately these fences can get ripped or jumped over so it is very difficult to police it if people are they intent on getting through. “I cannot say what the answer is as I don’t know how possible it is to empty the quarry. But it is something that will be discussed at future meetings. We want to do whatever we can to stop people drowning there. A spokesman for West Lancashire Council said: “This is a terrible tragedy and our thoughts are with the young boy’s family and friends. “The quarry is owned by a private company. We are aware there is security fencing together with warning signs. “An outline planning application by Mainsprint to develop the site for a mixed use incorporating residential, commercial and leisure development was approved in October 2013. The approved scheme does, however, retain water within the quarry.